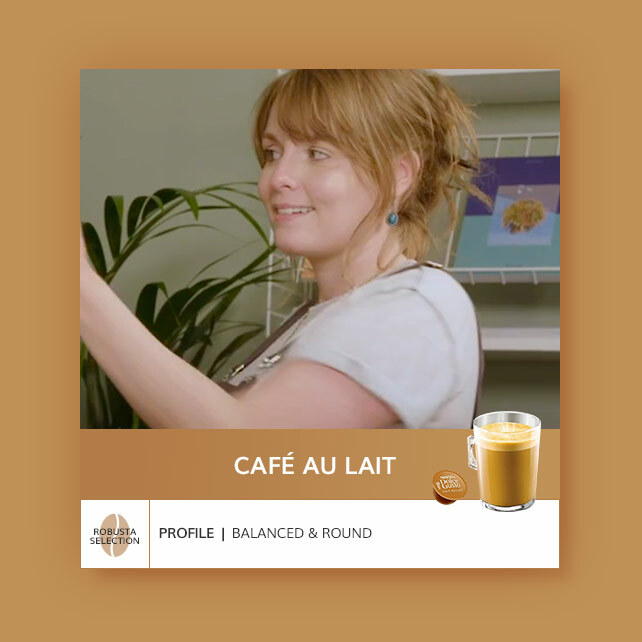 To support the launch of an NPD, the NESCAFÉ® Dolce Gusto® coffee machine, we were briefed to develop a digital campaign to drive sales of the new machine. 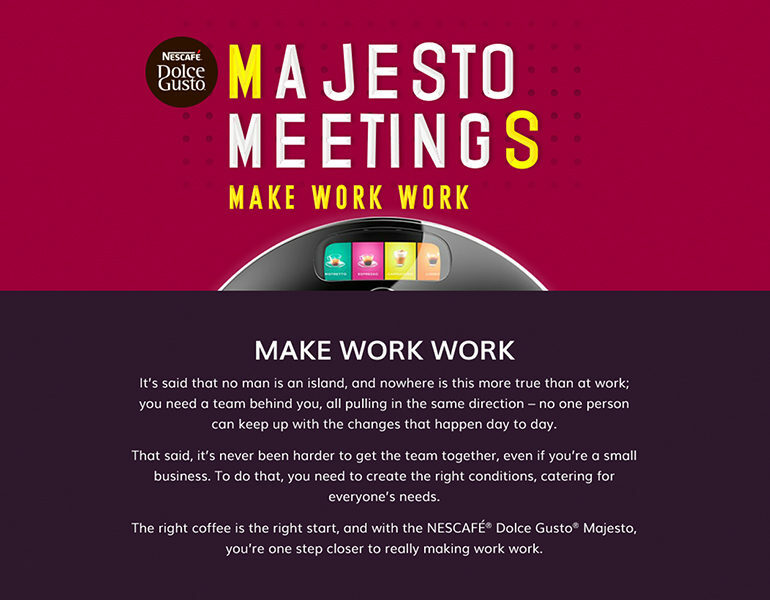 Our task was to dramatise the benefit of getting together in the workplace and creating the right conditions to encourage people to do so, by targeting the gatekeeper in SME workplaces via digital, to drive awareness and sales of the new coffee machine. 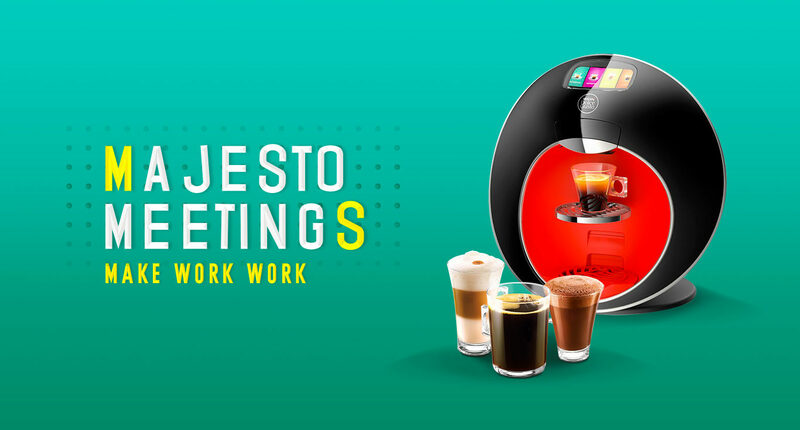 The NESCAFÉ® Dolce Gusto® Majesto coffee machine offers over 30 varieties of hot drinks, meaning that there’s a drink type to suit every personality in the workplace. 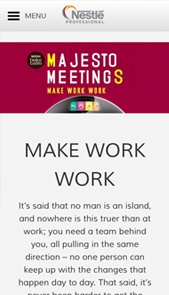 When we bring these personalities together we work better together, in other words, ‘work works’ when we work together – supercharge your office get-togethers! The films are delivered as ‘snackable content’ in the form of 6 second bumper ads for Youtube and Facebook, with a filming style reminiscent of ‘The Office’… documentary, simple fly-on-the-wall style. Carried out over a 2-day shoot, our content team shot and edited 5 short-form videos to run across social, YouTube and the website. We cast 5 comedy actors to star to star in the films plus a comedy director, to get the right performances for the stories. Campaign awareness is driven via 6-second ads delivered on Facebook and YouTube targeting the gatekeeper in SME workplaces. 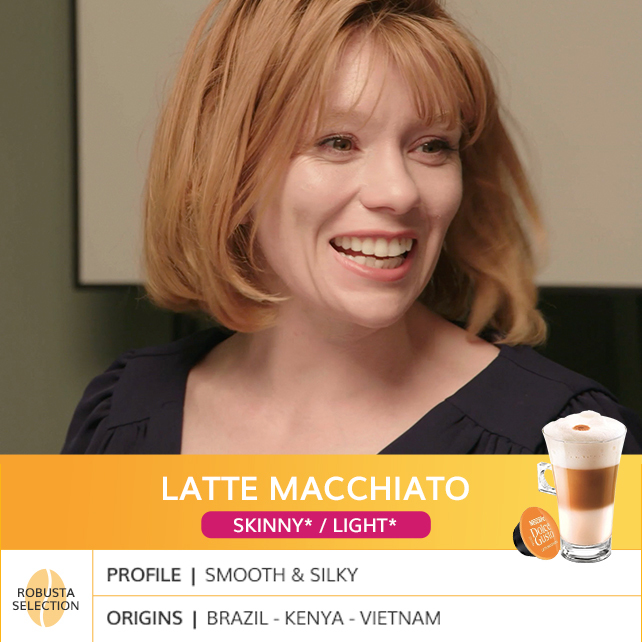 The adverts are delivered, with a sequential messaging approach so that consumers would see a different creative each time they were served the ad. Following engagement with video, consumers are retargeted via display to drive consumers closer to purchase with a stronger buy now message. 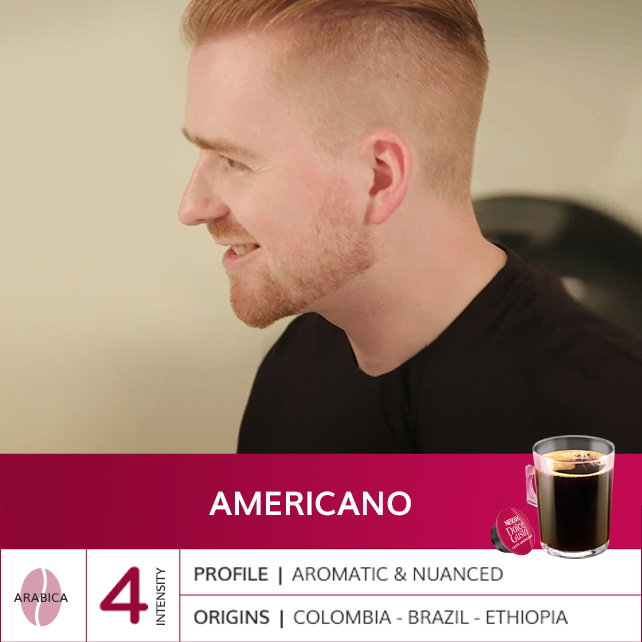 The campaign launched in October 2018, and is still ongoing. So far, the videos have received 1.12 million views on YouTube, and have reached over 2 million viewers. A further 700,000 views have been gained on Facebook, Twitter and Instagram, reaching a further 1 million target consumers.